Buck Agrios is a Witch and a Pagan currently living on Wurundjeri Land also known as Melbourne, Australia. Buck Agrios has been called to the craft for over 20 years. He is an initiated Brother of the Unnamed Path as a Child of the Dark God. Buck also identifies as a Dionysian and a Reclaiming Witch. His work is often ecstatic through dance and he works strongly in spellcraft, herb craft, shamanic journey work, and necromancy. 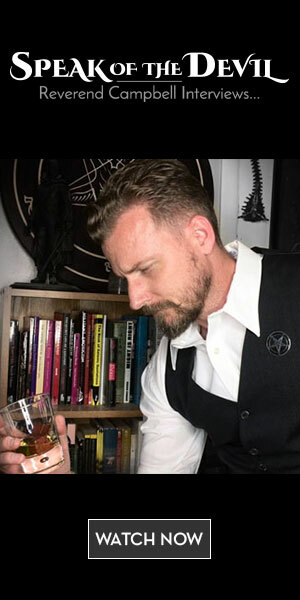 Buck began his work in bringing the Queer Pagan Community together in 2011 with an online group called Oz Gay Pagans. This later went on to form the foundations for what is now known as Queer Pagan Men Australia. In 2018 Buck launched the first Roots & Bones event. This was a series of workshops and rituals presented by teachers and practitioners of the craft from Australia and the USA. They presented on a variety of gay/queer inclusive and exclusive traditions including Wildwood, Anderson Fari, Unnamed Path, Reclaiming and more.